Gregory Hoskins and Kevin Breit will be sharing the stage for a series of concerts across Southern Ontario this December. They join us in the studio for a fun conversation about their collaboration and discuss what people can expect when they come out to one of their joint shows. And it’s that time of year – Tannis Slimmon, Jude Vadala and Katherine Wheatley come together each Christmas as Boreal to put on a series of concerts, “Songs For The Snowy Season”. Jude Vadala joins us to chat about their annual ritural, and their 9th annual show in Guelph on December 5. 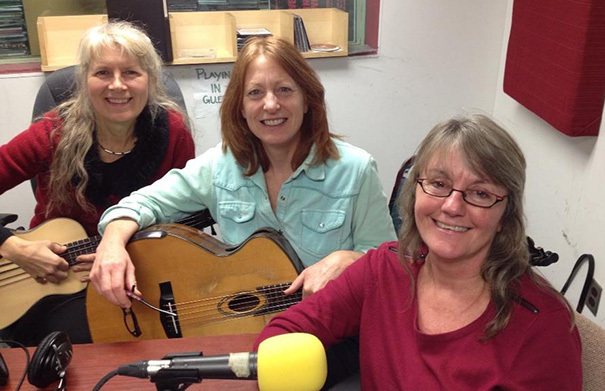 Tannis Slimmon, Jude Vadala and Katherine Wheatley come together each Christmas to put on a series of concerts “Songs For The Snowy Season” in collaboration with Folkway Music. This year’s Guelph show (the 8th edition of this holiday tradition) takes place at Guelph Little Theatre, 176 Morris St, Guelph on Saturday, December 6 at 8:30 p.m. (Doors, 8:00 p.m.). This year, the performance will be that little bit more special as they are also releasing their first album under their new group name Boreal, “Winter’s Welcome”. Tickets $22.60 (includes HST) / $25 at the door and available from Folkway Music by phone at 1-855-772-0424, email or in person (22 Dupont Street East, Waterloo); The Bookshelf (41 Quebec Street, Guelph) and online through Event Brite HERE. 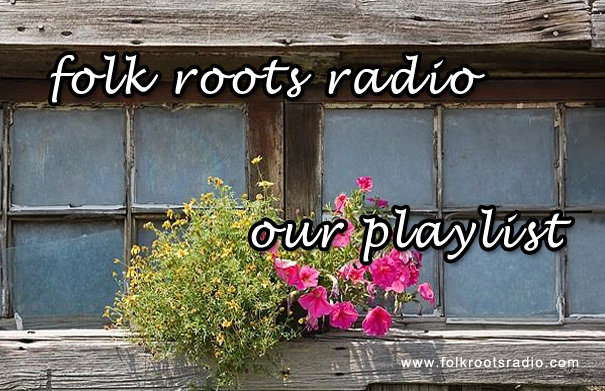 Tannis, Jude and Katherine joined us on Folk Roots Radio to chat about the new album and upcoming Christmas shows. 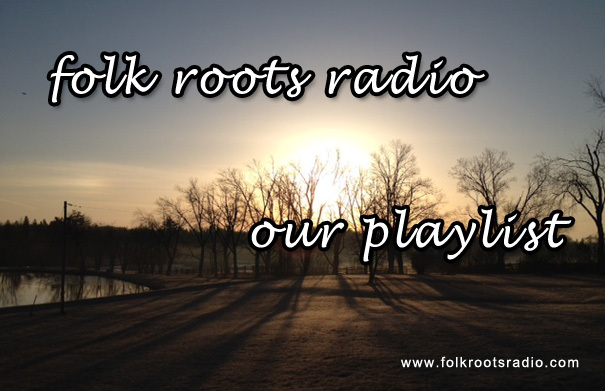 For more information about Boreal, visit borealsongs.ca. Great interview and I am looking forward to attending this wonderful show! 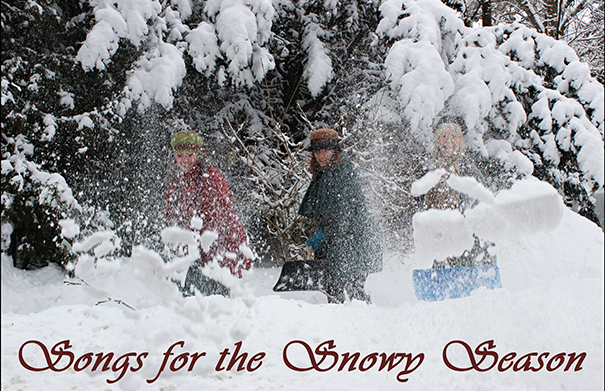 Three fabulous Guelph-based singer-songwriters Tannis Slimmon, Jude Vadala and Katherine Wheatley come together each Christmas to put on some fabulous concerts “Songs For The Snowy Season” in collaboration with Folkway Music. This year’s Guelph show (the 8th edition of this holiday tradition) takes place at Guelph Little Theatre, 176 Morris St, Guelph on Saturday, December 6 at 8:30 p.m. (Doors, 8:00 p.m.) This year, the performance will be that little bit more special as they’ll also be releasing their first album under their new group name Boreal, “Winter’s Welcome”. Tickets $22.60 (includes HST) / $25 at the door and available from Folkway Music by phone (855-772-0424), email, or in person (22 Dupont Street East, Waterloo), The Bookshelf (41 Quebec Street) and online through Event Brite HERE. Katherine Wheatley, Tannis Slimmon and Jude Vadala get together once a year for Folkway Music’s Annual Christmas Concert. “Songs for the Snowy Season” features songs – old and new, all written with the winter season in mind; it is a wonderful Guelph holiday tradition and shouldn’t be missed. 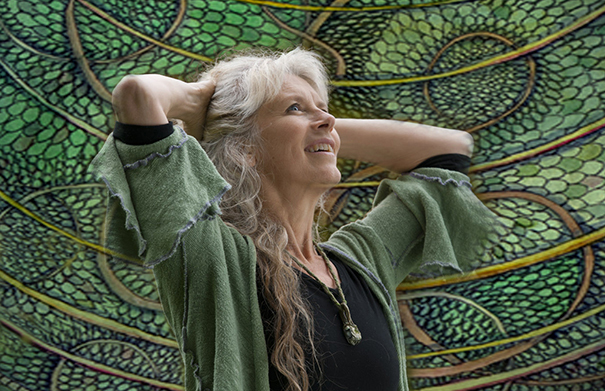 After 30 years of writing, composing and teaching Jude Vadala is ready to step into the limelight. Jude will be headlining her own solo show at the Co-operators Hall in the River Run Centre on Friday March 30 2012 at 8.00 p.m.
A mainstay on the Guelph music scene singer-songwriter Jude Vadala has produced five studio albums including her most recent album, “Do You Ever” (2011). 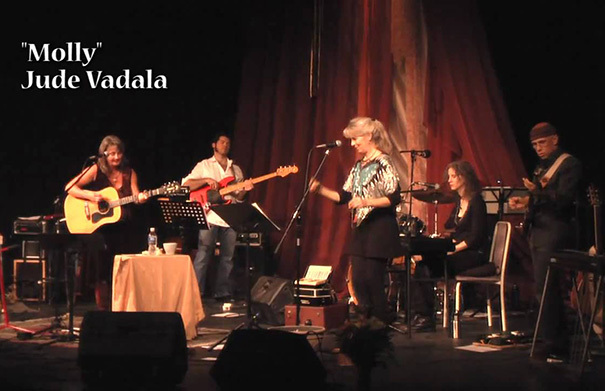 Jude was a member of the critically acclaimed trio The Bird Sisters with Tannis Slimmon and Sue Smith. She has also worked on 50 local musical projects including works by Tannis Slimmon, James Gordon, Harri Palm, Jah Youssouf and Lewis Melville, Katherine Wheatley and Scott Merritt. 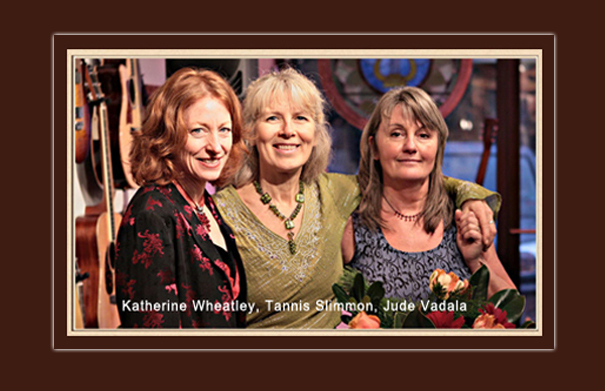 Jude is currently a member of the Wintersong trio with Tannis Slimmon and Katherine Wheatley. Jude’s band for the solo show will feature Tannis Slimmon (harmony vocals), Adam Bowman (percussion), Jesse Turton (bass) and Tom Randall (electric guitar, acoustic guitar, mandolin, banjo). Tickets are on sale at the River Run Centre, box-office 519-763-3000. 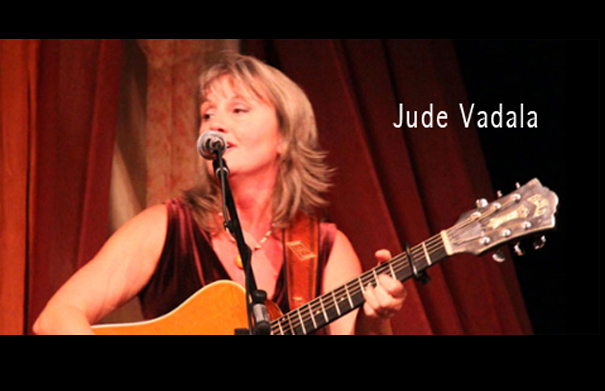 Jude Vadala releases her 5th album “Do You Ever” at the Guelph Little Theatre on Saturday November 6 2010 at 8.00 p.m. Jude has been involved in the Guelph music scene for over 30 years and was previously a member of The Bird Sisters with Tannis Slimmon and Sue Smith.